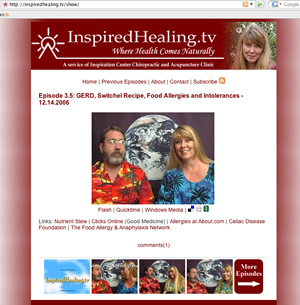 InspiredHealing.tv is a weekly web show on complimentary, alternative, and generally cool medicine. The fundamental purpose of the show is to inspire people to take responsibility for their own health and quality of life. It is hosted by Dr. Maureen Hall and her husband Dr. Richard Hall. (see people page).